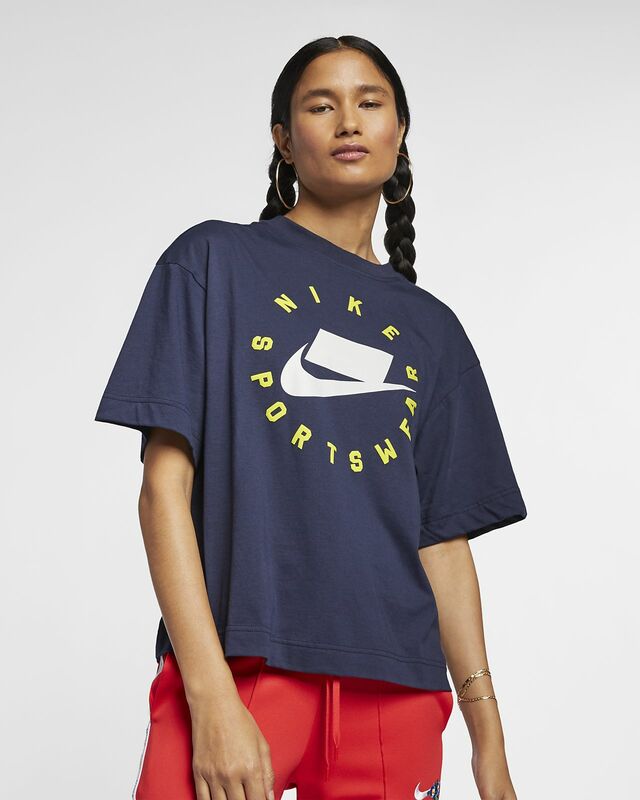 A classic gets refreshed with the Nike Sportswear NSW Women's Short-Sleeve Top. Designed with dropped shoulders for a modern look, it features a block logo on the chest. 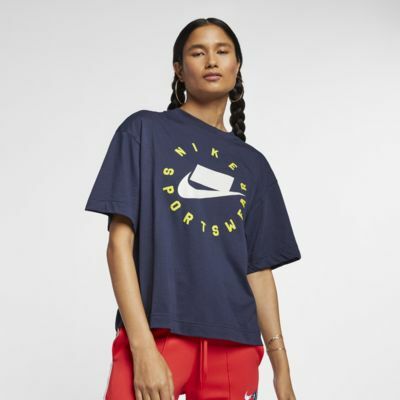 A classic gets refreshed with the Nike Sportswear NSW Women&apos;s Short-Sleeve Top. Designed with dropped shoulders for a modern look, it features a block logo on the chest. Block Nike logo is printed on the chest. Dropped shoulders create a modern look. I love the style of these- I got three! They are super lightweight, so even though they are oversized/have more fabric- it's not something you notice during a workout. I will say I'm 5'4 and I ordered size Small...I kind've wish I had ordered XS because of how oversized they are. BUT, to be honest, I didn't mind enough to exchange them because I wanted to wear them right away. Anyways, thanks Nike designers- more like this please!